We undertake restaurant clearance in Sydney, clearing out rooms as per your instruction, be it just clearing old furniture and rubbish, or stripping out old carpets and other fixtures. For all your needs regarding restaurant clearance in Sydney, be sure to give us a call. As well as our restaurant clearance services, whether you need them undertaken for pending renovation or demolition purposes, we undertake many other clearance jobs for commercial buildings in Sydney. These other clearance jobs can consist of hotels or shops needing cleared out in order to be refurbished, or perhaps businesses closing or leaving at the end of their lease. In addition to the commercial clearances such as restaurant clearance, we also undertake large house clearances, as well as other domestic property clearances, so we are highly experienced in all these types of jobs. 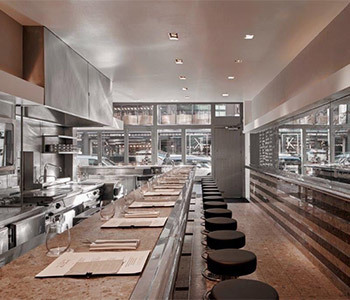 Whatever the reason you need your restaurant clearing, we are experts in stripping out fixtures and fittings from buildings, as well as removing junk, and aim to leave you with an empty shell as per your instruction. When your hire us to carry out your Sydney restaurant clearance, you will get a professional team of fully trained and fully insured workers. Over the years, we have worked hard, and gained an excellent customer reputation, with much of our work coming from personal recommendation through word of mouth too. We dispose of all building materials, rubbish and junk in the proper manner you would expect from a professional rubbish and waste removal company, and we are fully licensed to do so. We have undertaken many restaurant clearances in Sydney. In some cases the owners have left and the new proprietors want to completely overhaul the interior of the building, or perhaps the building has been purchased at auction and it is in need of stripping out and renovating. Whatever the reason for needing our restaurant clearance services in Sydney, get in touch with us and see how we can help. You can contact us via phone or email and we are always happy to help.